This small and unassuming city in the High Plains of West Texas offers some amazing treats for visitors, and many of the best tourist attractions and things you can do for free. Amarillo is halfway along the historic US Route 66. You can catch a glimpse of how the journey in this area could be like a mid-century by taking the historic route of the city 66. 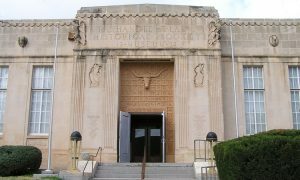 Amarillo also has many unique museums related to the history and culture of West Texas, from the Quarter Horse Museum to the Panhandle Plains Historical Museum. 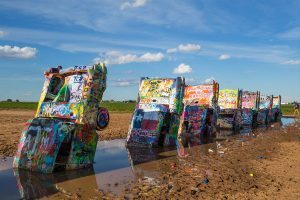 For a little creative fun, go to Cadillac Ranch and try your hand at graffiti or enjoy the unique scenery of the state by hitting the paths to the nearest Palo Duro Canyon. 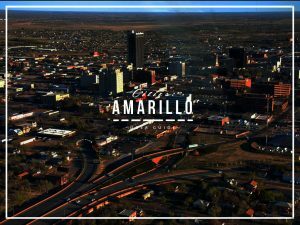 Here is a list of the best things to do in Amarillo, Texas. From the 40th highway, where huge trucks of long-distance truck drivers and low-profile sedans of tourists rush along the roadway, at the entrance to the city of Amarillo, a car drives down a deserted field along a road that was here for decades. The Cadillac Ranch, located here, attracts tourists and touring street artists as a magnet. The Cadillac brand, which appeared at the beginning of the 20th century in the United States, won respect both on American soil and far beyond the borders of the continent. The slogan of one of the oldest automakers in the world – “Life, Freedom and Pursuit” – not only echoes the line from the US Declaration of Independence, but also finds a lively response in the hearts of Americans, for whom the word “freedom” is more than just a word. Apparently, the same ideals were professed by the guys from the art group Ant Farm, when they decided to make a living embodiment of freedom on the land of Texas, created from the old Cadillacs. Artists Chip Lord, Hudson Marquez and Doug Michels have just arrived from San Francisco and were looking for money to make their dream a reality. They were lucky. A local eccentric millionaire Stanley Marsh appear listened to the guys and agreed to help. Marsh really wanted to have a hand in creating something beautiful and gave Ant Farm the task to come up with a project for an art object and create what they can do best – an art installation. So in the northeast of Amarillo, in the wheat field in 1974 appeared the “Cadillac Ranch”. The ranch itself consisted of ten retro-cars of the Cadillac brand, angled with their noses in the ground and lined up in a row. There is a version that the angle of inclination of old cars is equal to the angle of the faces of the pyramid of Cheops, but this is not documented anywhere. The logic of building the installation is simple to primitive – cars are arranged according to seniority, from the most vintage model to the newest one. The “grandfather” of a Texas ranch – Club Sedan, 1949, was first buried “to the waist” in a wheat field. The 1963 Sedan de Ville retrocolumn is the last one in the column. The tradition here is to grab spray paint and create your own graffiti on the cars. Choose several paints and go to work, creating your own artistic vision. This is an incredibly popular family activity. There are much more things you can do here than you can even imagine. Children can climb cars, run through open interiors, and spray paints that they like. Cars are literally thick and dripping paint. Photographers will also enjoy the colorful and ever-changing canvas in front of them. Cars are about 150 to 200 yards from the parking lot. The walk follows a flat and wide dirt road, which after the rain can be muddy and slippery. Next to the always open gate, you can often find a seller of souvenirs, catching colorful chips, taken from cars installed in key chains. Interesting: Do not worry about bringing your own jar, half-filled canisters are littered around the field surrounding the car. 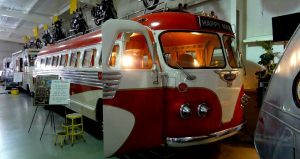 Another of Amarillo’s free attractions, the RV Museum displays the RV from the 1930s to the 1970s, as well as many other vintage cars and artifacts. These RVs provide an insight into the time from which they came, since many of them have not been modified since the day they were made. Original appliances, furniture and floors create a feeling that you are in that period of time. The museum also has an impressive collection of shiny old motorcycles in excellent condition, several vintage cars mounted on a theme, including an old-style drive through a restaurant and a retro gas station. Various items, such as old pedal bikes, cameras and camping chairs, also add to the atmosphere. Interesting: Special notes to the RV include the very first Itasca highway and the oldest Airstream dating from 1935.
innovations that shaped the development of the region, such as windmills and transport; and many many others interesting things. Interesting: In addition to the outstanding permanent collection, special exhibitions are also regularly held in the museum. 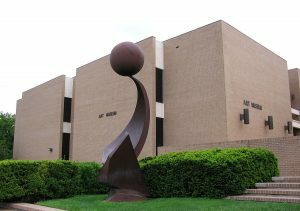 The museum is located about 15 minutes from Amarillo. 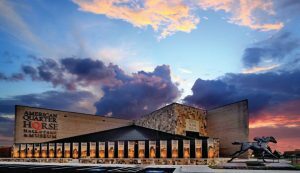 This museum is a tribute to the horse, which settled and formed the American West and one of the most beloved horses of the cowboys in the southwest. The center focuses on the history of the Quarter Horse and the people behind them. At the lower level, the museum offers a variety of displays on topics ranging from the biology of a quaternary horse to horse-drawn quarries. Upstairs, it offers a look at the most famous horses of the breed. Trophies, photos, memorabilia and stories about these great horses are shown. The museum building itself is an impressive craft, where wood and stone walls create a sense of space and grandeur. Interesting: Carved on the floor of the Great Hall on the main level are the pedigree of the Horses, traced to the late 1800s when they were recognized as their own breed. The Amarillo Aparthotel is located on the campus of Amarillo College, free to the public. While the museum houses an impressive collection of works of art from around the world, most of the works of art come from the Far East. objects of Buddhism and Hindu II century BC. In addition, photos of F.S.A. are located in a 32,000 square foot building. There are the works of the photographer Russell Lee and his contemporaries. Interesting: Also, you’ll find paintings from the 17th to the 19th century and paintings by American modernists of the mid-century. It may seem like a surprise that the second largest canyon in the United States after the Grand Canyon is just 30 minutes south of Amarillo. The Palo Duro Canyon is approximately 120 miles long, up to 20 miles wide in some areas and 800 feet deep. 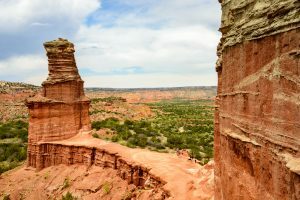 Palo Duro State Park is a popular destination for hiking, camping, mountain biking, horse riding and geocaching. A 16-mile roundabout train takes you down from the edge of the canyon and finally to the canyon. From this road, there are several campgrounds, a total of 150 campgrounds and numerous walking routes. The most popular hike is the lighthouse trail, which leads to a dramatic rock of the same name. This is a six mile walk back and forth to the lighthouse base, but the best view of this towering rocky peak is 1.5 km from the trail. Interesting: You can learn more about the history and geology of the area in the visitor center in the immediate vicinity of the park’s start. Perched high on a ridge overlooking the canyon, this place has some of the best views in the park. You will also find irresistibly cute miniature horses and miniature donkeys, long-tailed horses, skunks and a variety of other furry creatures. Perhaps, less attractive, but equally interesting are spiders, amphibians and reptiles, including the huge Burmese pythons, as well as many other snakes, as well as turtles and salamanders in the Herpetarium. 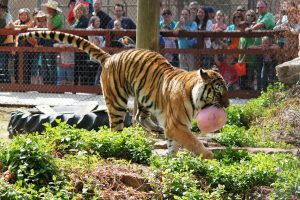 Interesting: There are a lot of interesting family events in the zoo. One of them is Family Nights in the zoo. 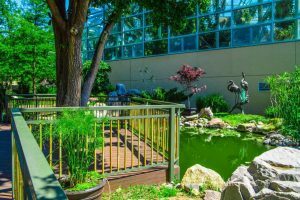 The Amarillo Botanical Gardens are easily recognizable by the stunning silver and glass orange conservatory that dominates the land. The beautiful botanical garden of the city provides an opportunity to explore a large collection of various palm trees, cacti and other plants of hot climates. Today, there are several thematic sections. One of them is dedicated to the collection of plants in tropical rain forests, for which pyramid-shaped glass greenhouses were built. Visitors are also introduced to the amazing desert plants and typical representatives of the nature of Texas. The park is decorated with orchid flowers, gorgeous ponds with water lilies and cocoa trees. The garden is equipped with a comfortable concert glade and a viewing platform with a tower. Spreading over four acres, the gardens have a local flora outside, including a garden of scents, while tropical plants are housed in a winter garden. During the Christmas season, the gardens are lit in a kaleidoscope of flowers. Amarillo Botanical Gardens are located right down the street from the Center of Don Harrington, and between them, there is a Medi-Park, with a playground and a splash court. Interesting: It is a great place to visit after sunset. It becomes even more beautiful. 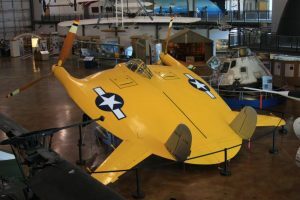 A small but inspiring collection of airplanes and related parts, as well as passionate and friendly volunteer staff make this a stop for pilots or those interested in aviation. One of the best features of the Texas Aviation and Space Museum is that visitors can get on airplanes for full practical experience. Located near the airport, the museum is laid out both indoors and outdoors. In the main hangar, the central element has been the DC-3 since 1945. You can go straight to the cockpit to look at the tools. In addition, the hangar contains interesting items from the late 1960s, among which is an ejection seat from a B-52 bomber and a basket with a balloon. Astronaut Rick Husband, who died on the space shuttle Columbia, when he was destroyed when returning from space, was from Amarillo. Another small area of the museum displays model aircraft and information about the austronaut and his career. By the way, there is an airport named after this person. Rick Husband’s Amarillo International Airport is a state airport named after Amarillo’s NASA astronaut who died in a crash on the Columbia shuttle. It is located 10 kilometers east of the city. The airport was created in 1929 by Harold of England and was originally called the “English Field”. In 1952, its name was changed to “Amarillo Air Terminal”, and in 2003 the airport received its current name. In 1997, the old airport field was transformed into an aviation museum. The airport has a modern terminal, which was reconstructed in 2011, and two concrete runways with a length of 4.115 meters and 2.408 meters, capable of receiving any type of aircraft. The airport occupies 1,435 hectares of land. Interesting: Outside, the C-7 Caribou since 1958 and the aircraft used as a training vehicle for astronauts have landed NASA space shuttles, both of which you can visit. 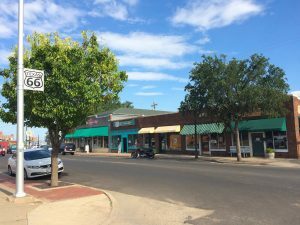 Amarillo is in the process of revitalizing the city center, where you will find a combination of old and new buildings, both of which are intriguing. There are remnants of the past age like neon signs, although many of the modern signs are LEDs, but they resemble the age of neon. Many restaurants open in the city center, creating a new atmosphere and, as it seems, the beginning of a more lively city center in Amarillo. One of the most recent additions to the city is the newly opened Embassy Suites by Hilton Amarillo Downtown, located directly opposite the Amarillo Civic Center. It offers spacious, modern suites and an indoor pool, jacuzzi and sauna. Another good choice, with a swimming pool and jacuzzi, is Drury Inn & Suites Amarillo, west of downtown, with easy access to I-40. Interesting: Some historic buildings remain, like the former Fisk building of 1927, today, it is one of the best hotels in Amarillo, Courtyard by Marriott.